Autumnal tints have begun to brilliantly color the quiet gardens of Zen in Kita-kamakura. 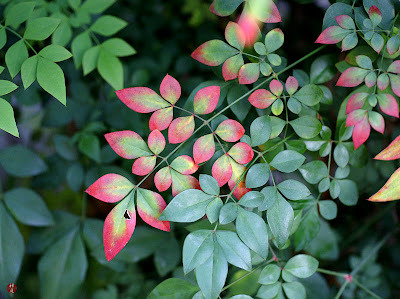 The leaves, which have played supporting parts quietly until now, are emerging as leading roles in the flamboyant coloration of the gardens. Soon the flaming colors of leaves will flood in and provide a splendid feast for our eyes just before chilly winter.